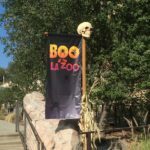 If you are looking for a fun Halloween activity during these last two weeks of October, you should consider heading over to Boo at the LA Zoo. There was a time that Halloween merriment was contained to just October 31st but during the last few years I’ve noticed that people like to celebrate all month long! 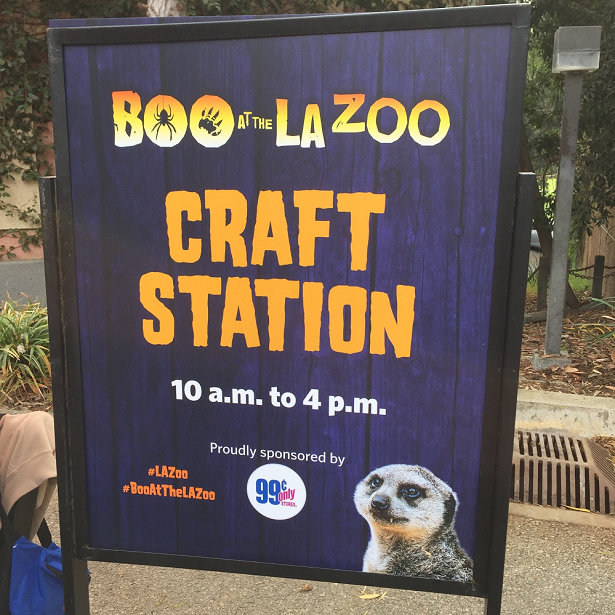 So why not add Boo at the LA Zoo into the mix?! 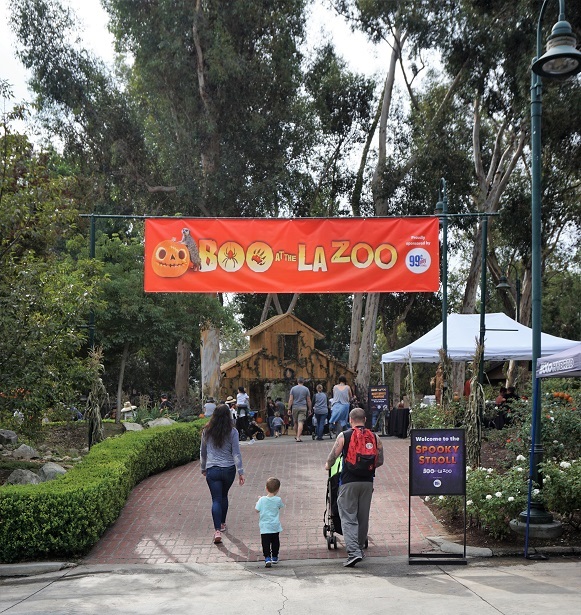 Boo at the LA Zoo began on the 1st of the month & continues through Wednesday, October 31st. 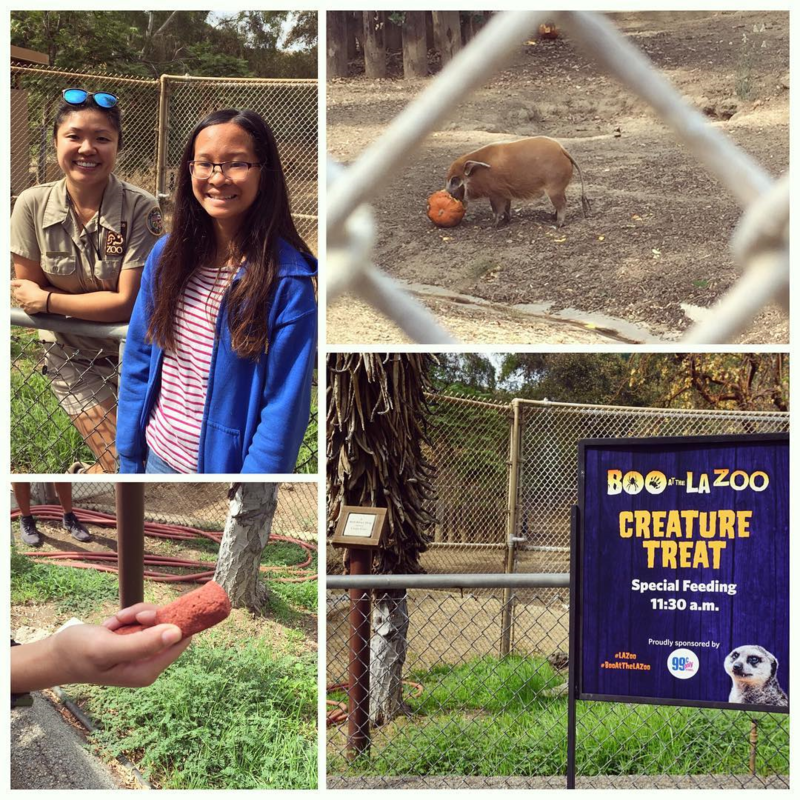 The festive Halloween activities are free with paid Zoo admission due to the generous sponsorship by 99 Cents Only Stores. 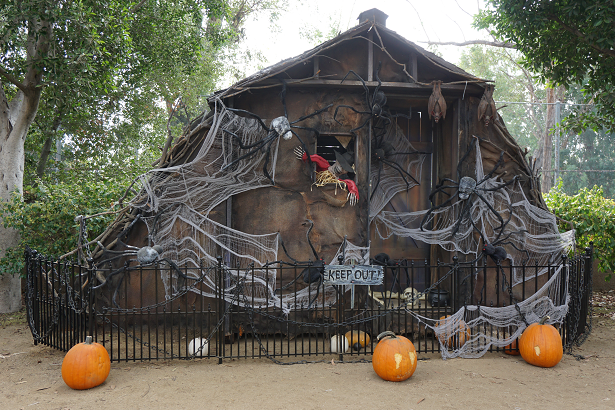 After you enter the Spooky Stroll entrance, you can pose for Boo-tiful photos & enjoy Halloween arts & crafts. 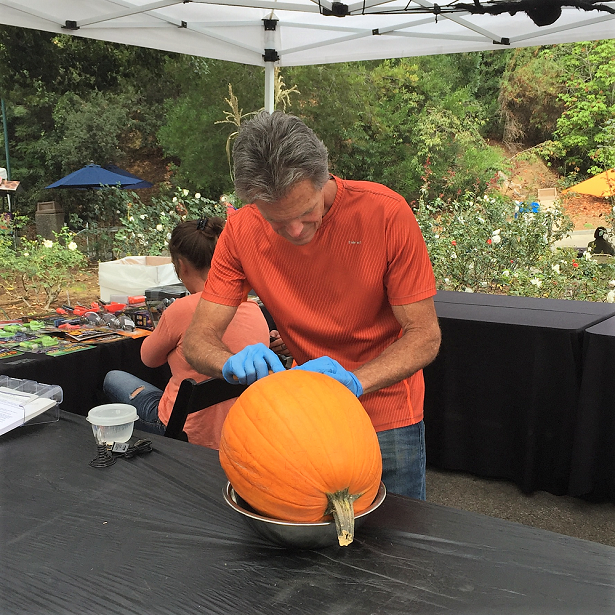 There is also a mini pumpkin patch & you can watch an expert carve pumpkins! 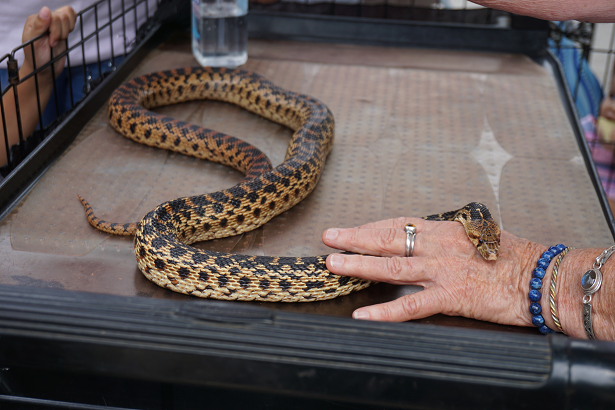 Weekend activities include up close encounters &demonstrations with the zoos most fearsome, frightening & misunderstood residents. 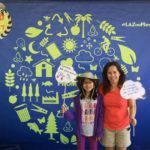 My family’s favorite Boo at the LA Zoo activity is the animal feedings. Plant eaters will relish “Creature Treats” such as pumpkins, while carnivores will devour carcasses. 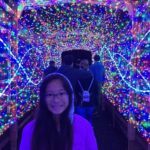 You’ll have to check the LA Zoo website for details & the schedule. On the day of our visit, we saw Red River Hogs (Penny & Pearl) eat pumpkins & special cookies. 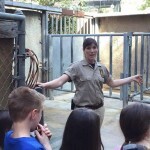 LA Zookeeper, Elaine Chu, explained to the crowd that these hogs are found in African river areas like the Congo. 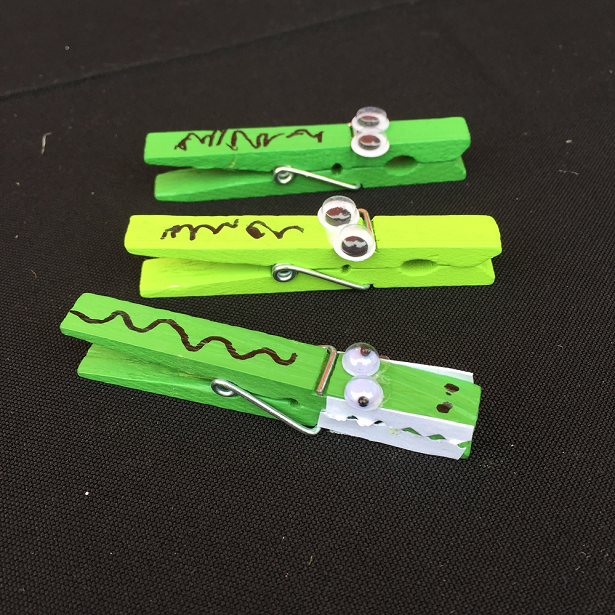 Swazzle’s Monster Menagerie Puppet Show: Help a lonely mad scientist create the ultimate trick-or-treating buddy by combining animal “superpowers.” Performances in Adventure Theater at 11:30am & 1:30pm. “Spooktacular Science” Show: Discover bubbling potions, a hovercraft-powered ghost & more fun surprises in a mad scientist’s bustling lab. 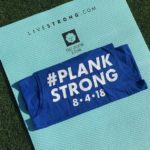 Performances in Adventure Theater at 3pm. 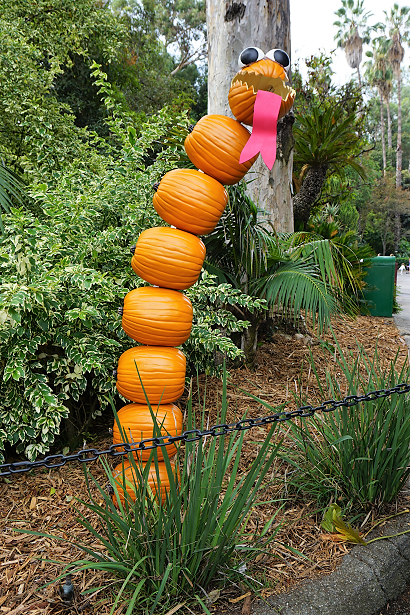 The BEST part during the weekends of October 20 & 21 and October 27 & 28 is the trick-or-treating! 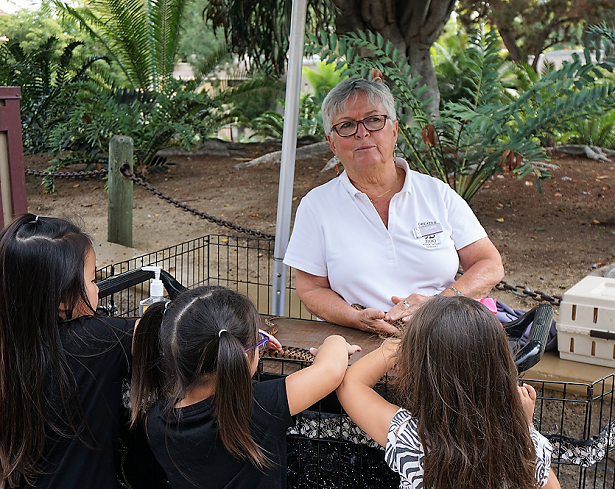 You’ll find treat stations throughout the Zoo, with treats & bags courtesy of 99 Cents Only Stores! The candy & bags are available while supplies last. 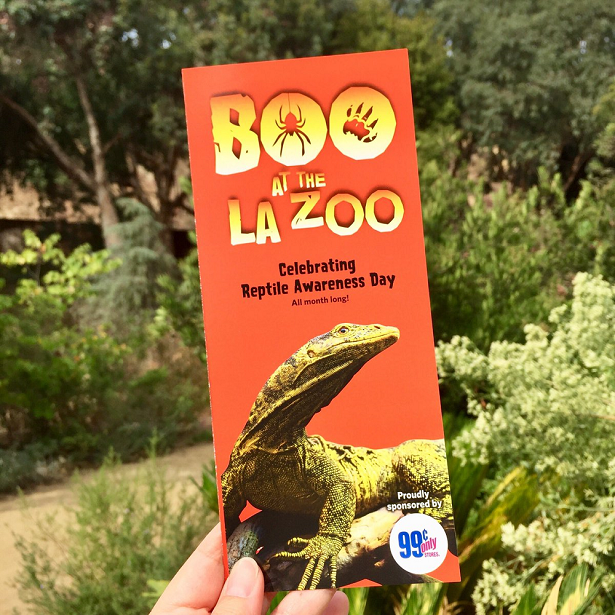 For more information, visit the LA Zoo website here. 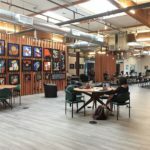 Don’t forget to check out their Facebook page for the latest updates!